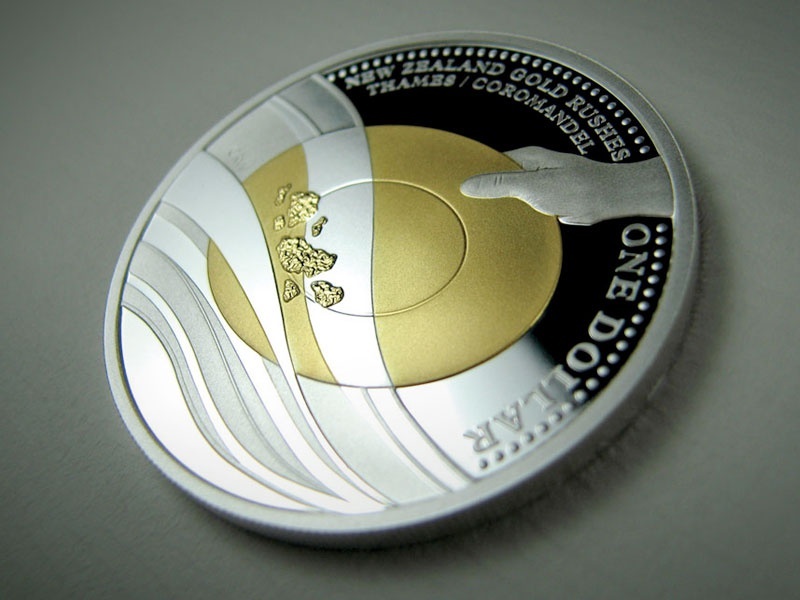 Coin design for New Zealand mint. This was issued to mark 100 years since the gold rush. The gold nuggets in the pan are the regions of New Zealand.